If you have heard of ketosis and the benefits you can achieve by getting into this state, you might be planning to try it out. Yes, it’s a special diet, called the ketogenic diet. However, before you jump into your new diet, you must learn how to get into ketosis in a safe manner to maximize the benefits. Most of you might have already tried to get into ketosis quickly. However, did you get the results you expected? If no, then you might have felt hugely disappointed. You might have even decided to never try it again. But, how about giving it a second chance? 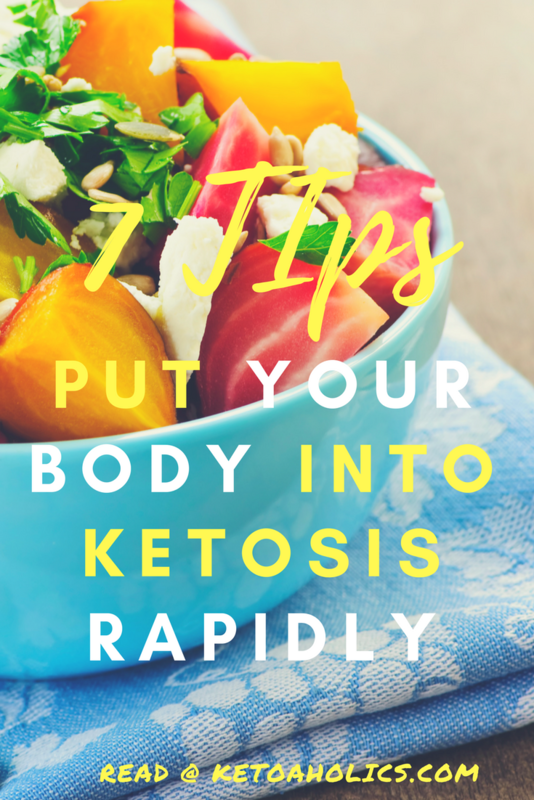 What if I provide you some tips that will help you get into ketosis successfully in a few days? Read on to find some proven strategies to kickstart ketosis and enjoy the multiple health benefits of this unique diet. But, before this, let us have a look at some benefits you would be able to achieve during and after getting into ketosis. 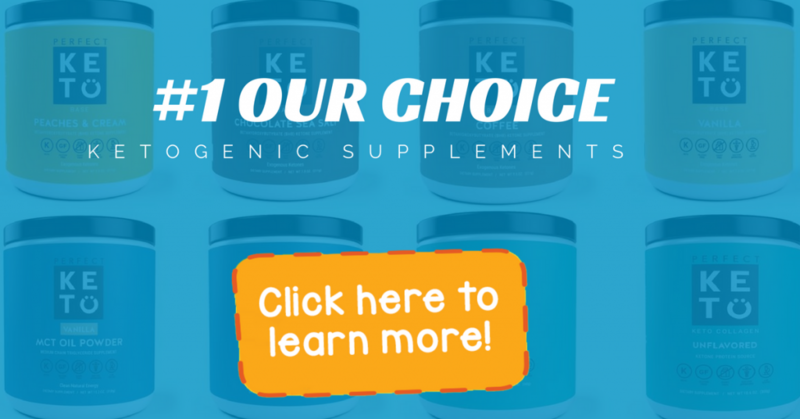 Research studies have proven that ketogenic diet promotes a state of ketosis that can help you lose considerable weight in a very short duration. It is believed to work by increasing the utilization of fats in your body and suppressing your appetite. Emerging clinical research has indicated that ketosis may help in controlling blood sugar levels in the patients with type 2 diabetes. You can achieve these benefits of ketogenic diet by beginning with learning how to get into ketosis faster. Here are some strategies that will help you to plan your ketogenic diet and get into ketosis quickly. Getting into Ketosis & Losing Weight Was Never Tastier & Easier! Exogenous Ketone Supplement - Beta-Hydroxybutyrate (BHB) Salts For Fat Burning & Weight Loss. Support For Ketosis, Energy and Focus. Rapid Ketosis Premium Exogenous Ketone Supplement - LOSING WEIGHT & GETTING INTO KETOSIS WAS NEVER FASTER OR EASIER! In a rush? 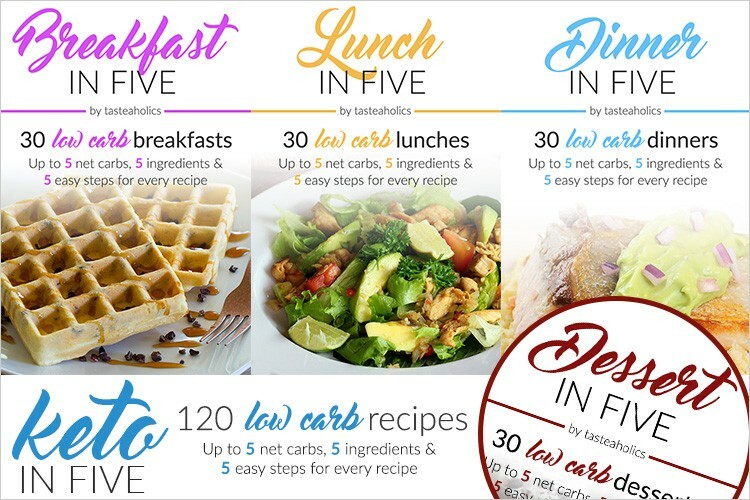 Pin this guide to your Pinterest board for later reference! Avoiding carbs in any form should be the key if you want to get into ketosis within just 2 days. In fact, it forms the foundation based on which your body would go into a state of ketosis. When you stop eating carbohydrates, your body is deprived of its ready source of fuel. So, it starts looking for an alternative source that it finds in the forms of fats. Your body, then, stimulates the liver to convert the fats stored in your body into ketones and fatty acids. Your body can make use of these ketones and fatty acids to perform various functions. The longer you deprive your body of carbs, the higher would be the utilization of fats and the benefits of ketosis. So, did you see how you can just trick your body into using fats at a faster rate? Simply by skipping carbs from your diet, you can change the tracks for how your body works. Never ever get wrong with this strategy because if you offer even a very small amount of carbs to your body, it will switch the gears again and start using them as fuel. It would reduce the effectiveness of your diet and all your efforts so far would become futile. You will have to start all over to get into the ketosis mode again. Yes, you read it right. If you want to get into ketosis rapidly, eat as much as fats you can. But, make sure you include only healthy fats in your diet. Consuming healthy fats can boost the ketone production in your body and allow you to reach ketosis. You learned about carbs. You also learned about fats. But what about proteins? Aren’t they also an integral part of our diet? Of course, yes! Proteins form a major group of nutrients that our body needs for its growth, development, and various healing process. So, while discussing what you should eat or avoid, we just cannot skip giving special attention to proteins. The best way to get into ketosis is to consume proteins in moderate amounts. This is an important aspect of getting into ketosis particularly for those who want to adopt this diet to manage epilepsy or cancer. Cutting back on proteins can increase the ketone production. However, since proteins are essential for the body, you must not skip them completely. I mean, it is possible to skip carbs because fats can replace them as a source of fuel. But, proteins are proteins! There is no replacement for them. So, you cannot skip them completely. It’s important to ensure your diet comprises of enough proteins. These proteins would be broken down by your digestive system into amino acids that can be used by the liver to support gluconeogenesis, a process that converts glycogen into glucose. This glucose can be used by some organs and cells in your body that cannot use ketone bodies as fuel, such as some parts of your brain and kidneys and the red blood cells. You might be wondering why are we discussing intermittent fasting. After all, intermittent fasting is also another special diet recommended for weight loss. I agree intermittent fasting is a form of diet recommended for weight loss. But, it is for this reason only that we are including it as a strategy to optimize your results with ketosis! Avoiding eating food in any form for several hours is an effective way to get into ketosis much faster and this is what intermittent fasting does. Intermittent fasting is a dietary strategy that involves short-term fasting interspersed at regular intervals. It can help to induce ketosis by restricting your calorie intake. Do not eat food in any form for any two days of the week. But, these two days should not be continuous. Eat only one full meal a day. Avoid eating anything for the rest of the day. The meal should be based on the principles of ketogenic diet: high in fats, moderate in proteins, and devoid of carbs. Both these approaches to intermittent fasting would starve your body of its source of fuel and promote the conversion of fats into ketone bodies thus setting the stage for ketosis. Ketosis and physical activities form a two-way phenomenon. Studies have shown that getting into ketosis quickly can improve your athletic performance, endurance, and stamina. On the other hand, being physically active by exercising can help you get into ketosis faster. Hence, if you want to get into ketosis in just one day, you should pep up your physical activities. The form of exercise you can choose depends on the goal you want to achieve. To be more precise, it depends on how fast you want to get into ketosis. The more intense is your workout, the faster you would go into ketosis! However, if you are a beginner and not used to intense workouts, it is best to begin with the low-impact and less strenuous exercises such as walking or jogging. You can perform these exercises for about 30 to 40 minutes a day to begin the process of getting into ketosis. You can move up steadily and perform strength training, weights lifting, and high-intensity exercises after a few days. Working out strenuously will cause your body to mobilize a higher amount of fats and convert it to ketones. This will help you to get into ketosis faster. These exercises would also help you to maintain the state of ketosis so that you can derive steady and long-lasting results with your diet. If you want to get into ketosis in just 7 days, include coconut oil in your diet. It contains some forms of fats known as medium-chain triglycerides or MCTs. 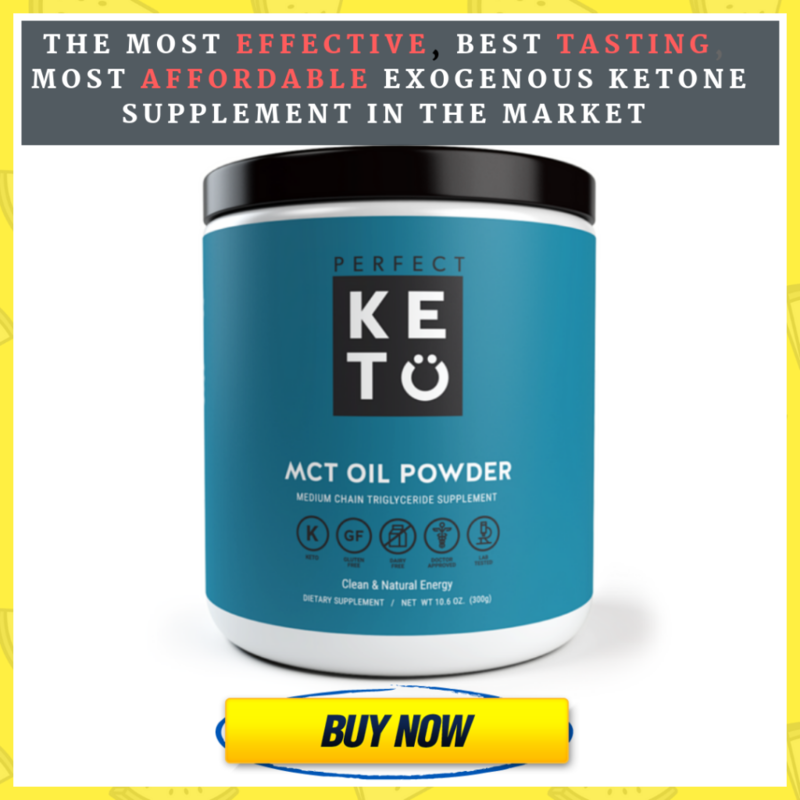 Unlike other forms of fats, MCTs can be absorbed in your body rapidly and then, taken to the liver directly where it is converted into ketone bodies. Thus, your body can use it almost instantly and help you get into ketosis faster. That’s not all! There’s something else about coconut oil that makes it a useful addition to your ketosis diet. Among the four forms of MCTs it contains, one is lauric acid. Clinical evidence shows that lauric acid can produce sustained levels of ketosis and help you attain your goal faster. You can simply consume one tablespoon of this oil every day for the first 2 to 3 days. Then, work up to about three to four tablespoons a day over the next few days. You can use this oil in cooking instead of your regular oils. Drink plenty of water while on a ketosis diet to avoid the risk of dehydration. It will help you feel fresh and energetic even when you are not eating your favorite carbs. A high-fat diet can increase the risk of constipation. In case you experience this symptom, you can increase your water intake further. You can also avoid constipation by eating fibrous vegetables, Chia Seeds, and Flax Seeds. The hidden carbs in alcohol can provide your body with a ready source of fuel and prevent you from getting into ketosis. Avoid this by skipping the alcohol. The best way for how to get into ketosis involves making the right dietary choices. Being aware of the foods you can eat in plenty or in moderation and the foods to be avoided completely forms the crux for maximizing the benefits with ketosis. Before you begin your ketogenic diet, make a list of the foods to eat and avoid, and stick it at a place you can glance at every day. 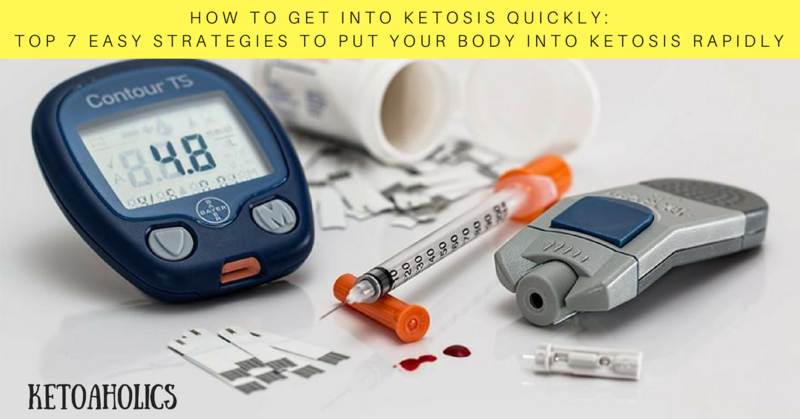 Whether you have had an unsuccessful attempt at getting into ketosis in the past or are a first timer; planning ketosis based on the strategies provided here will help you derive maximum benefits in a safe and effective way. Top Rated MCT Oil Brands Review: Which One is The Best on the Market To Buy? NOW Sports MCT oil Supplement Review: Discover How to Obliterate Your Fatigue and Cut Through The Fat!!! MiCkey T Eight(8) MCT Oil Review: Will It Make Your Ketogenic Journey 100× Easier? How Often Can You Have a Cheat Day on Keto? Ketogenic Diet For Vegetarians: How Can You Modify It Without Compromising On The Results?